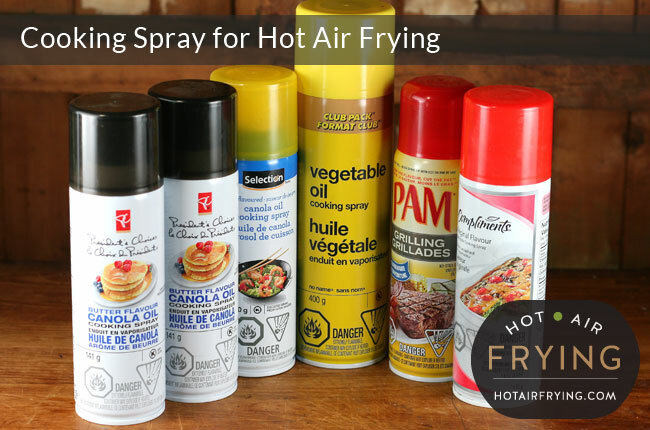 Commercial cooking sprays are made from oil, along with an emulsifier such as soy lecithin, and something such as either a bit of alcohol, silicone, or a propellant agent to help prevent the spray from foaming or clogging the spray nozzle. Some may have other ingredients as well to help increase their non-stick capabilities. They are convenient, and generally, cheap, especially as they are regularly on sale and you only use a little at a time. A can has a very long shelf life, usually of several years, and you rarely if ever hear of one going bad. The most common oil base used these days seems to be canola, though olive oil, etc, is also available. You can get flavoured sprays, with butter flavour being quite common. The dominant brand names in North America are Pam, Mazola and Crisco, though supermarket own-brands are quite common and often cheaper. Beware cooking spray labels giving calories per 1/4 second spray. Who can do a 1/4 second spray?